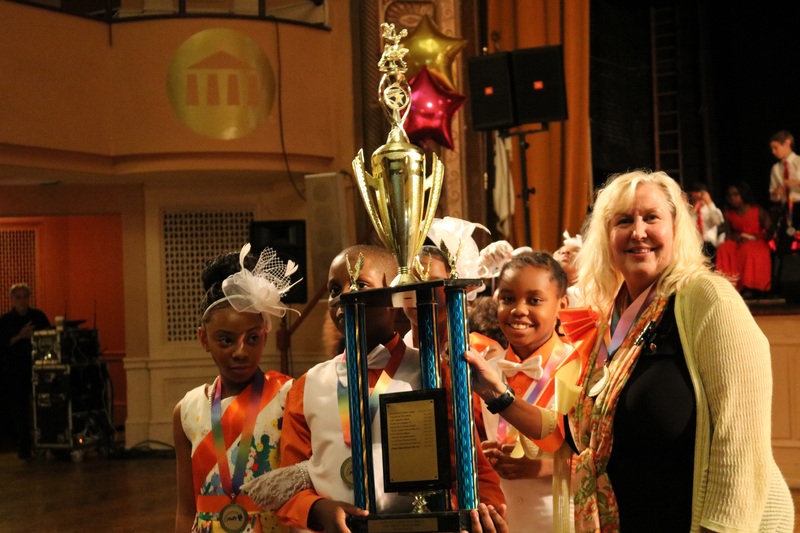 Our reigning champs, Chester Upland School of the Arts, earned Gold and took home the trophy at the 11th Annual Grand Final, but all performers left the event winners! 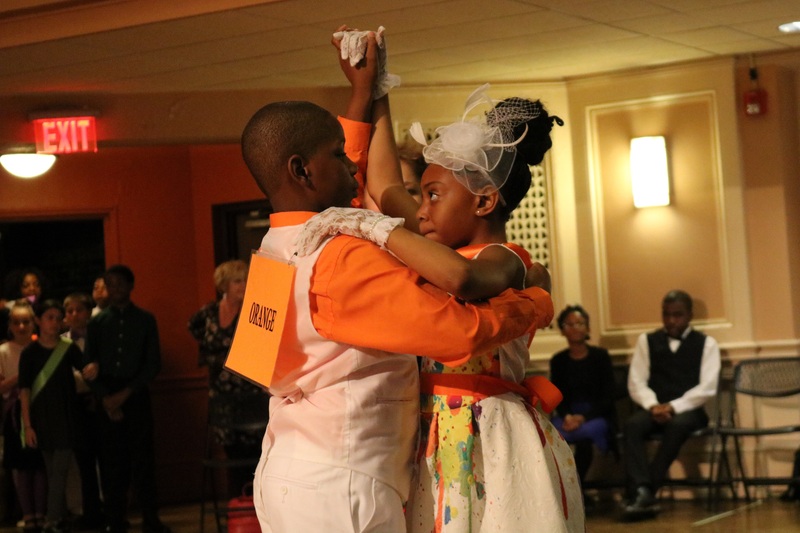 The Colors of the Rainbow Team Match is an optional ballroom dance competition for schools participating in the Dancing Classrooms Philly In-School Residency Program. The Colors of the Rainbow Team Match events are joyful occasions that bring together Dancing Classrooms Philly school communities from around the region. The events help children from different backgrounds realize that they are all part of a larger family, united in its members’ love of ballroom dance. Relationships are built and strengthened, as adults and children cheer each other on and conduct themselves with elegance and good sportsmanship. The events confirm Dancing Classrooms Philly’s core values of elegance, respect, self-confidence, teamwork, and cooperative goal-setting. There are multiple Semi-Finals held at the end of each semester, with each participating school sending a team of twelve dancers. 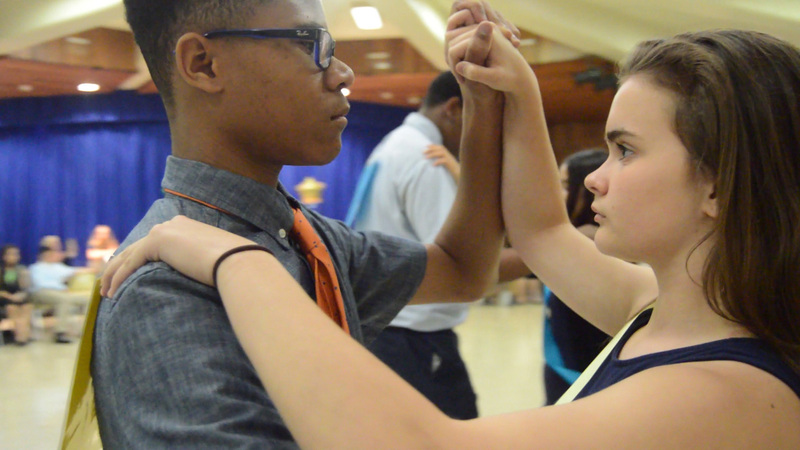 The Dancing Classrooms Philly program emphasizes mutual respect and teamwork over competitiveness. To that end, awards are presented to a school’s team rather than individual dance partners. The winning schools from each Semi-Final will go on to compete at the Semester Final. Fall and Spring Semester Final winners meet at the Colors of the Rainbow Team Match Grand Final, held at the end of the academic year. All Team Match events are free and open to the public. On May 30th, 2017, DCP held its first ever Middle School Team Match. Participating schools included: Alexander Adaire, Mariana Bracetti Academy, John Hancock Demonstration-LaBrum Campus, Robert K Shafer, and Cecelia C Snyder. 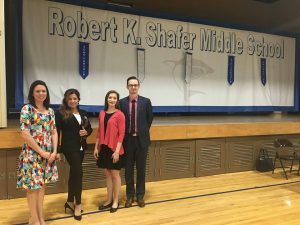 Congratulations to our reigning champs (and 17-18 host), Robert K Shafer Middle School. See our Events page for the upcoming Colors of the Rainbow Team Match events. Above: Students from John Hancock Demonstration Middle School – General J. Harry LaBrum Campus at our first ever Middle School Team Match. Thank you to John Hancock Demonstration Elementary School for hosting the event!